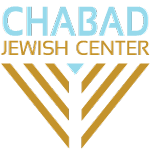 Chabad Jewish Center offers on-demand catering for the kosher traveler. We do not have a regular deli with foods available. All meals are prepared specifically when ordered. All meals are certified kosher by Idaho Kosher. Custom meals can also be ordered, pending availability. Please contact Esther to inquire about custom meals. Quarter Chicken Dinner with fresh salad and your choice of side dish. Fish Dinner of Salmon with fresh salad and your choice of side dish. Steak Dinner with fresh salad and your choice of side dish. One large Tuna Baguette Bagel with sliced veggies, fruit cup and a side of California Coleslaw. Egg Omelet or Scrambled Eggs, Bagel and homemade muffin or vegetables. Please place your orders as early as possible to ensure the best service. Please place your order at least 48 hours in advance. An additional 15% added to all orders placed within 48 hours.